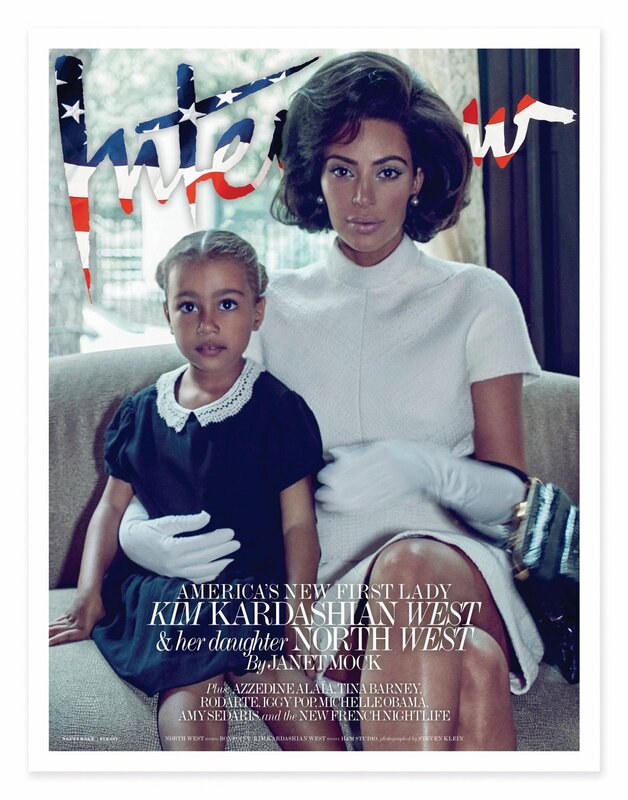 Kim Kardashian is unrecognizable on the latest edition of Interview magazine. 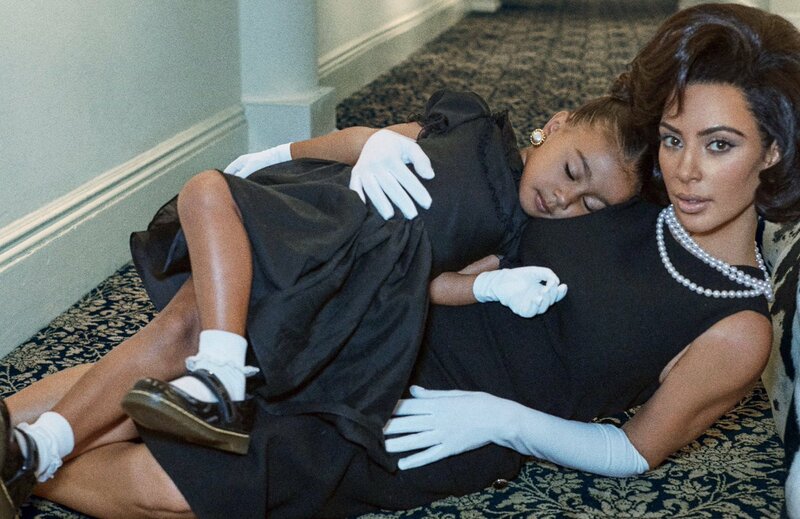 The mother of two and her daughter were photographed together for the shoot by Steven Klein. She flaunted a coiffed bob, white mod skirt suit, pearls and long, white gloves in the pictures. The reality star dressed up as a modern-day Jacquiline Kennnedy Onassis circa 1983. The mother of two said: I will treasure this shoot forever! Thank you @InterviewMag Steven Klein. What do you think of the pics? If you are ready to grow your career, it is time to get others involved in your journey. Mentors can offer insights from their own experiences, help you think more strategically, and open doors. Some mentors stay with you throughout your career, some are with you at a particular job, and some for one project. Some mentors choose you and some mentors you choose for yourself. Here are the steps you need to ensure a positive mentoring relationship. What are you looking for from a mentor? What does having a mentor mean to you? If you invite someone to be your mentor, be clear about what you want from this person. Determine if you would like advice to grow your career, to have a sounding board for challenging issues at work, to develop skills in a certain area — or all of the above. Consider people in your profession, your office or your community whom you admire and from whom you could learn. It is helpful if you have some connection to a prospective mentor, but do not rule out the opportunity just because they don’t know your name (yet!). Ask friends and respected colleagues for their insights. It's important to note that your mentor does not have to be just like you. I encourage you to seek out mentors who can offer new perspectives; this is where true learning happens. Now that you know what you are looking for and whom you hope will be your mentor, it’s time to reach out. Remember, you are investing in yourself, so be yourself boldly. No one else will invest in you unless you are willing to invest in yourself. I recommend a brief email referencing how you two know each other, something you admire about them, and what you hope to learn. Depending on proximity, invite the person to meet at their office, to have a phone call or to Skype. Don’t feel like you have to go to coffee every time with your mentor. There are some days I have been invited to three coffee meetings — and I don’t even drink coffee. Bonus tip: have a walking meeting with your mentor. You will both appreciate the mental break from the office, get some exercise, and it may make it more comfortable to ask some of your questions (such as dealing with a difficult boss). When you meet with your mentor for the first time, clarify the expectations each person has about the relationship. How often will you meet? Is she willing to answer of-the-moment questions? What is the best way to schedule with her? Be a good steward of your mentor’s time (and yours) by preparing in advance for each conversation. Jo Miller, Founding Editor of Be Leaderly, offers four types of questions to ask your mentor: career stories, situational advice, self-awareness, and skill-building. I suggest keeping a running list of things to discuss so you can refer back to them while you prepare. Mentoring is a partnership and mentors can get as much from the relationship as they give. Is there a skill you can teach, generational insights you can share or industry perspective you can bring? Oftentimes mentors find the most joy in just being a part of your professional development. We tend to think of mentors as people who have significantly more experience than we do. Peer mentors are people who are in a similar life stage or career stage (but not necessarily the same industry or role) and can offer guidance from their own experiences. Having someone who can relate to your current experiences presents immeasurable value. It can be more comfortable to practice critical conversations with a peer. They can remind you to advocate for yourself and challenge your thinking, all while understanding where you are coming from. Mentors provide us with support, encouragement, feedback, and ideas. They help us approach situations with new ways of thinking and renewed confidence. These experiences will contribute to your success throughout your career. Who supported you along the way? Who encouraged you to develop that new skill, take on that challenge, aspire to more? Who believed in your ability to get here before you did? Today is as good a day as any to reach out to thank your mentors and acknowledge the role they played in your personal and professional development. Then honor them by mentoring others. Should you consider trimming or shaving "down there," proceed with care -- A new study finds that trimming or shaving public hair causes injuries. Cuts, burns and infections are reported more than a quarter of the time, according to the online survey of more than 7,500 U.S. adults. The new study was based on a web-based survey of randomly recruited men and women, aged 18 to 65. People were asked, among other things, about grooming frequency (daily, weekly, monthly, every three to six months, every year or no regular grooming) “self-perceived degree of hairiness” (on a scale of seven) instrument most often deployed (non-electric blade, electric razor, wax, scissors, laser hair removal, electrolysis) and who performs one’s grooming (self, partner or friend or professional). Of the 7,570 people who completed the survey, 76 per cent reported a history of grooming; 1,430 groomers reported a grooming-related injury. Laceration (cut) was the most common injury followed by burns and rashes. Of the self-reported injuries, three per cent required antibiotics, and 2.5 per cent required some form of “surgical intervention” such as stitching to close a cut, or incision and drainage of an abscess. For men, injuries were most common in the scrotum, for women, the pubis. For both sexes, the frequency and degree of grooming, unsurprisingly, increased the risk of injury. “You are getting at all the nooks and crannies of your body — you are going to get places you can’t see very well and that probably in turn leads to a greater likelihood of getting injured,” co-author Dr. Benjamin Breyer, a urologist at the University of California, San Francisco, told the British newspaper, The Guardian. 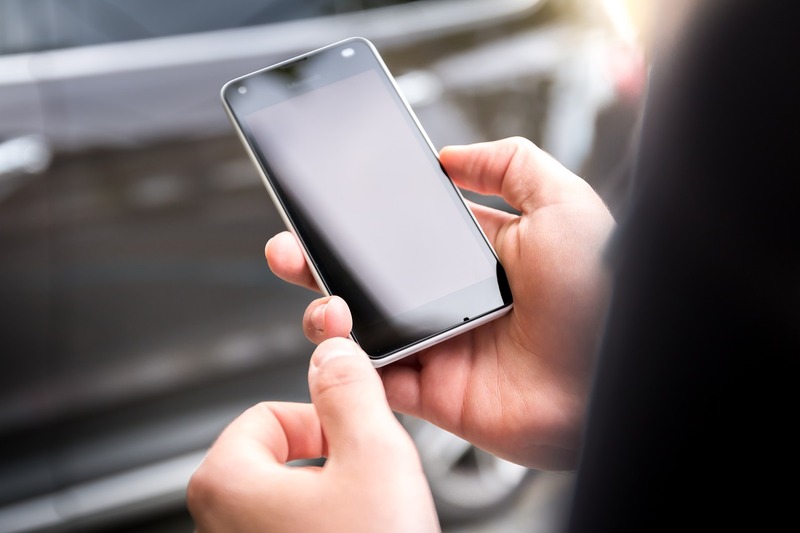 The share of mobile users is now larger than ever, with a staggering 4.7 billion users around the world having a mobile device. Tablets and smartphones have a variety of usages and are most commonly used for entertainment, web browsing and, surprise-surprise, studying. There are all kinds of apps currently available. Apple’s and Google’s app stores are simply filled to the brim with paid and free apps for any occasion, but which of those tools are actually useful and which ones are better to avoid? In order to save you time from sifting through the muck, here’s a small listing of apps we believe to be invaluable to those who need to improve their studies. We’ll limit ourselves to five best learning apps which can be used on both Android and iOS, so let’s dive right in. Finding enough time to study, do chores and otherwise unwind is quite a challenging feat, but with a time management tool, it may be a little easier. There are many alternatives to find, but Toggl may be just the one for you. Toggl is a tool that allows to monitor everything you do. Another great thing is that it's widely available. It supports not only Android and iOS but Linux, Windows and Mac operating systems as well. The service is sold on a monthly basis (the lowest monthly subscription being $9), and there is a free 30-day trial. Give it a whirl before you commit. There is no shortage of good dictionaries – some are offline, some are free, and it's tough to pick one over the other. But Merriam-Webster barely scrapes by. Why would you need a dictionary, you may ask? There is a thing that all students have in common – the requirment to write a ton of essays and papers. You know, the usual academic stuff for the curriculum. When someone is asked to write a paper, they are expected to possess the vocabulary range to make those papers and essays shine. That’s when Merriam-Webster dictionary comes to the rescue. With its help you can find word definitions with ease. Merriam-Webster dictionary is available for Android and iOS platforms. This school apps free and there's another noteworthy feature, this dictionary has robust voice recognition features. You don't have to write words; you can simply search for them via speech. That's nifty; arguably the top educational app. 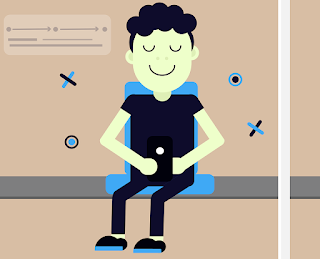 It’s a well-designed app that presents an option to plan timetables, set reminders and manage assorted time management stuff. In fact, it’s not exclusive to students. Teachers and lecturers can use it to benefit from as well. It’s easy to use, available on all platforms (Android, iOS, and Windows) and you can freely sync it across all your devices. Stay connected at all times, track your assignments, and get notified. Now it’s time to discuss Evernote, a massively popular cross-platform note-taking tool. Available for Android and iOS, as well as desktop computers, it allows every student to find notes on any device that has Evernote installed. Become organized, study more efficiently, and remember everything. Evernote is a suite of solutions that will only benefit your studying process. One of the best apps for school. Here’s another popular resource that has gotten a ton of buzz. Khan Academy is an educational app (or service, rather) that has over 10,000 videos on pretty much every academic subject in its library. Maths, history, science, engineering, economics, and countless others; the depth of choice is simply staggering. If you’re studying a subject at college, chances are it’s already majorly represented on Khan Academy. It was established in 2007 by Salman Khan. It’s intended to be a non-profit service that aims to bring high-quality education for free to anyone and anywhere. A noble cause, and you can easily benefit from it. Get lessons, practice and deepen your knowledge. There are even test prep categories for SATs. Apps for Android and iOS are available. On top of that, it is possible to explore all content on your PC. A new study presented at the 125th Annual Convention of the American Psychological Association has revealed that loneliness and social isolation has become a greater public health hazard than obesity. 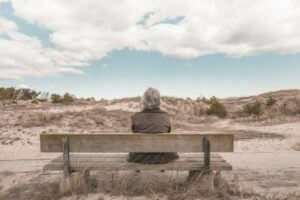 Approximately 42.6 million adults over age 45 in the United States are estimated to be suffering from chronic loneliness, according to AARP’s Loneliness Study. In addition, the most recent U.S. census data shows more than a quarter of the population lives alone, more than half of the population is unmarried and, since the previous census, marriage rates and the number of children per household have declined. “These trends suggest that Americans are becoming less socially connected and experiencing more loneliness,” said Holt-Lunstad. To illustrate the influence of social isolation and loneliness on the risk for premature mortality, Holt-Lunstad presented data from two meta-analyses. The first involved 148 studies, representing more 300,000 participants, and found that greater social connection is associated with a 50 percent reduced risk of early death. The second study, involving 70 studies representing more than 3.4 million individuals primarily from North America but also from Europe, Asia and Australia, examined the role that social isolation, loneliness or living alone might have on mortality. Researchers found that all three had a significant and equal effect on the risk of premature death, one that was equal to or exceeded the effect of other well-accepted risk factors such as obesity.